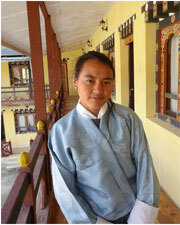 In Bhutan, the growing and labour-intensive hotel industry contrasts with high youth unemployment. Within this growing sector an opportunity has come forward to optimize the training with a self-sustainable boutique Hotel-School following a solidly customer driven orientation. Bongde Institute of Hotel and Tourism offers the opportunity to these youth to integrate to hotel work market through its training hotel,Bongde Goma Resort and restaurant Tou Zaiga. Please visit to experiencethis hotel-schools hospitality as BIHT has much to offer guests.